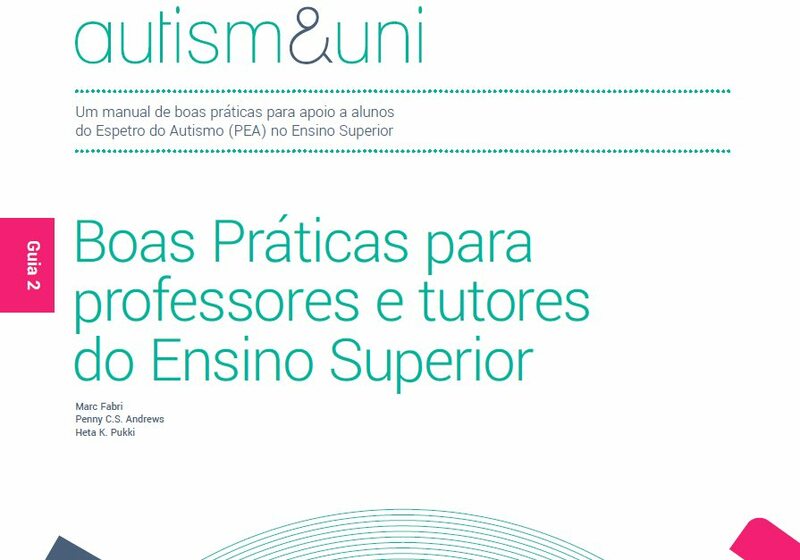 In early 2017 we started talking to Progresso Infantil (PIN), a Neurodevelopmental Centre in Portugal regarding translating the Autism&Uni Best Practice Guides into Portuguese. We are pleased to announce that the translations are now available from our download portal. PIN work with children and young adults on the autism spectrum. Some of their work is with university students, and a recent project with Lisbon University looked at awareness building and identifying good practice that already exists. PIN were delighted to find the Autism&Uni resources and saw the potential of creating Portuguese versions. We are grateful to Pedro Rodrigues, Clinical Psychologist at PIN, for making these translations possible. The guides are now available in 7 languages. We are currently working on Danish translations.